Drupalcon Boston 2008 is all over! This Drupalcon was the biggest ever, with 864 registered and paid attendees. Thanks everybody for making it a huge turnout! Every session was videotaped; check back here in a few weeks, when videos should begin to appear online. In the meantime, take a look at videos from the Barcelona conference. The next Drupalcon will be in Central Europe, specifically in Szeged, Hungary from August 27 to 30, 2008. Check out http://szeged2008.drupalcon.org/ for more details. The Boston Drupal conference will have tracks, planned sessions, as well as sessions from the community. We had 31 Drupal sessions at OSCMS, and 93 sessions at Barcelona. While both of these conferences were highly successful, this year the conference organizers are aiming to raise the bar even higher in terms of session quality. Drupalcon takes place March 3-6, 2008 at the Boston Convention & Expo Center. 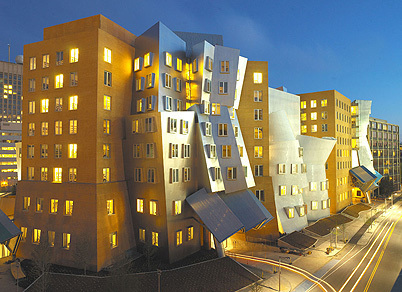 On Friday, March 7th the Drupal Code Sprint is taking place at MIT’s Stata Center. Registration and morning coffee is at 8am-9am Monday-Thursday with the first sessions of the day beginning at 9am. A mid-morning break happens at approximately 10:30am. There’s a one-hour lunch break 12:30-1:30 and a mid-afternoon beverage and snack break is at 3:30pm. The sessions wrap up by 6pm. Drupalcon Boston session submissions have been selected! Browse the accepted sessions. There is also a Drupal site showcase and case study contest. Submit your own site now for a chance at some great prizes. The week at a glance schedule is posted in the forum as a PDF. There will also be a Drupal site showcase and case study contest with prizes for the best sites. Add your favorite sites for a chance to win! The Drupal Association is hosting an all day code and documentation sprint at the MIT Stata Center on Friday March 7. All registered attendees are welcome. A code sprint is a gathering of a bunch of programmers to complete a short, rapid development project. We’ll be working on a whole bunch of code for Drupal 7. The Birds of a Feather (BOF) sessions are intended to bring together like-minded individuals in the Drupal community.